Do you struggle with American English pronunciation? Do you want to be able to pronounce your English words like a native but are you not sure how to do it? Today you’ll meet Mandy Egle from Pronuncian! Mandy is a pronunciation expert and she is going to help you find out if you have a pronunciation problem in English! Mandy has three tips for you today. Get the transcripts for this episode! Use the transcripts to move your English from intermediate to advanced. Learn native pronunciation and vocabulary. Click here to download the transcript now. Do an inventory of the sounds of English: This allows you to self correct more often. This will help you to be a more independent learner. You need to recognize when you have a pronunciation problem. Use a minimalistic method of creating a sound: Don’t try to exaggerate when you practice saying the sounds of English. Instead, learn to make the sound in a minimalistic way. This will help avoid embarrassment and will help you start to speak more naturally and with confidence. Get a native rhythm: Learn how to reduce sounds that should be reduced. We don’t pronounce every sound with the same emphasis. It’s important to study natural rhythms and know how certain syllables need to be stressed and how they fit in with other syllables that are not stressed. Don’t be afraid of sounding like someone else: A lot of students feel nervous when they hear themselves speak naturally, like a native. They seem to lose a sense of identity. They are afraid that people will look down on them. This is an example of being afraid of success. Don’t let it happen to you! 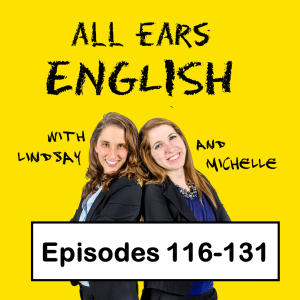 Get more episodes about American English pronunciation here! Mandy has been teaching English as a Foreign Language with a focus on pronunciation and accent reduction since 2005 at Seattle Learning Academy, an English language school she founded in Seattle Washington, USA. Her courses and teaching materials are used by Fortune 100 companies and individuals worldwide. 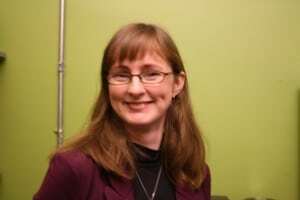 She is also the teacher behind the highly ranked American English Pronunciation Podcast. She uses her experience with intermediate to advanced students to create podcast topics that most affect students living and working in the United States and can help them communicate better and more clearly. Have you ever been afraid to sound like a native speaker? Is pronunciation a big challenge for you?